Asian stock markets and U.S. futures extended early losses after the data. Chinese stocks sank over 3 percent. February exports fell 20.7 per cent from a year earlier, the largest decline since February 2016, customs data showed. Economists polled by Reuters had expected a 4.8 per cent drop after January's unexpected 9.1 per cent jump. "Today's trade figures reinforce our view that China's trade recession has started to emerge," Raymond Yeung, Greater China chief economist at ANZ, wrote in a note. "Chinese exports already registered negative growth in December. The strong figures in January were not reliable due to distortions from the Lunar New Year holiday period." 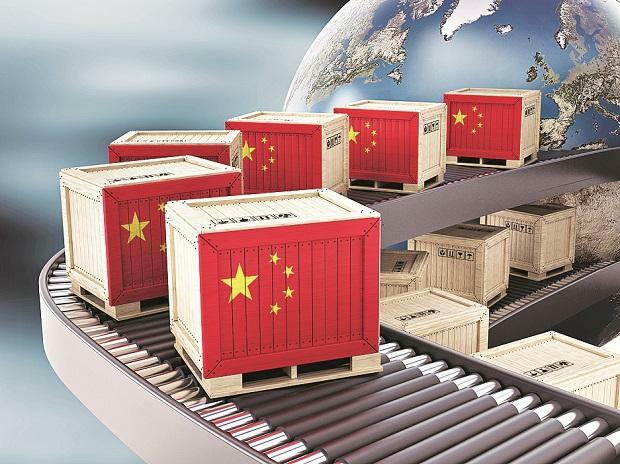 China's data on Friday showed its surplus with the United States narrowed to $14.72 billion in February from $27.3 billion in January, and it has promised to buy more US goods such as agricultural products as part of the trade discussions. U.S President Donald Trump said on Wednesday that trade talks were moving along well and predicted either a "good deal" or no deal between the world's two largest economies. The Chinese government's top diplomat, State Councillor Wang Yi, said on Friday that trade talks had made substantive progress and that the two countries' relations should not descend into the confrontation. China's economy was already slowing last year before trade tensions escalated, due in part to a regulatory clampdown on riskier lending that starved smaller, private companies of financing and stifled investment. The government is targeting economic growth of 6.0 to 6.5 per cent in 2019, Premier Li Keqiang said at Tuesday's opening of the annual meeting of China's parliament, a lower target than set for 2018. China's slowdown and the trade war are having an increasing impact on other trade-reliant countries and businesses worldwide. Japan's exports in January fell the most in more than two years as China-bound shipments tumbled. On Thursday, automotive chipmaker Renesas Electronics Corp said it plans to halt production at six plants in Japan for up to two months this year as it braces for a further slowdown in Chinese demand.